California governor Gavin Newsom's health care plan is sure to be in the spotlight on the national scene. Healthcare organizations must prepare for the aftershock emanating from the West Coast. Those following the California healthcare industry have long awaited "The Big One" – when California restores Obamacare-era mandates, expands state-sponsored "Medicare for All" and sets the stage for a single-payer healthcare delivery system. After being sworn-in as California’s 40th governor, Gavin Newsom announced massive changes to the state’s healthcare delivery system, setting off the equivalent of a magnitude 8.0 earthquake. His proposals, successful or not, are sure to shake up healthcare delivery in California and across the U.S.
Newsom’s proposals call for a massive Medi-Cal expansion, a California version of the Affordable Care Act individual mandate, provide coverage to undocumented young adults, and offer incentives to offset middle-class family health insurance costs. His plan includes a tax on individuals without health insurance – a central part of the federal Affordable Care Act. Newsom also signed an executive order making the Department of Health Care Services responsible for negotiating all drug prices for the state-run Medi-Cal, creating a multibillion-dollar market-maker overnight. Following through on a campaign pledge guaranteeing a single-payer healthcare delivery system and building off the program he implemented as San Francisco’s Mayor, Newsom has asked the President and Congress for federal approval to repurpose state Medi-Cal funding to implement a single-payer government funded healthcare system. Local politics will play an outsized role for both those pushing the scheme and those who want it revised. With Democrats recently gaining a "gigamajority" of three-fourths control of the State Assembly and building on their two-thirds "supermajority" in the State Senate, advocacy efforts in Sacramento must be bolstered in local communities. Industry sectors will push back. As soon as the second day after his proposal was made, news reports suggested that life science-biopharma companies will push back on Newsom’s plan. This industry employs more than 300,000 professionals in California, and its influence cannot be overstated. However, organizing and creating consensus in this fragmented industry and others like it will be extremely difficult given the complex policy environment. More than ever, industry associations will need to coordinate and push their members toward a unified PR approach. Passivity equals isolation. Healthcare will be the signature cause for Newsom in his first term and interest groups choosing a wait and see approach will be left out of negotiations. To be relevant, affected parties must have proactive communication programs and assertive advocacy efforts. Organizations impacted by the proposals, positively or negatively, would be wise to identify health policy reasons to support the Governor’s goals or alternatively, reasons why they won’t help him achieve his goals. Newsom is a man of many ideas. He’s had six years as San Francisco Mayor and eight as California’s Lt. Governor to prepare the agenda. It’s far better to have an alternative pointing toward a solution than a strategy of just saying no. As with all policy that shakes up an industry, Newsom’s vision will result in winners and losers. PR pros and healthcare advocates need to prepare strategies, tactics and resources to manage these seismic changes. 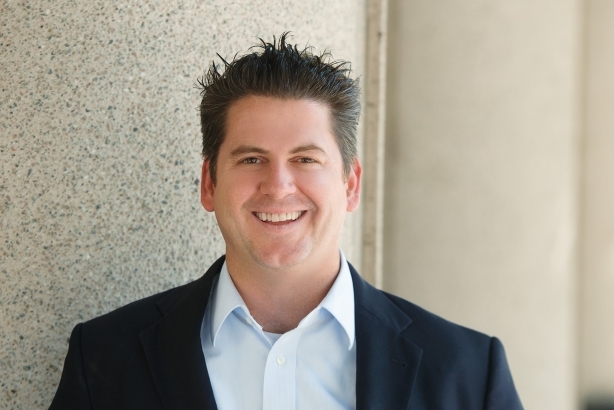 Patrick George is a Managing Director at KP Public Affairs in Sacramento, CA.